The new Mersey Gateway bridge is now open and tolls are active. Mersey Gateway Bridge, or ‘the new bridge’, is now active, so if you cross the bridge between Runcorn and Widnes, make sure you have paid the toll. You’ll have to pay a toll to cross the bridge, but it’s different to the tunnels – you won’t be able to slow down and put your money in the bucket – which will mean quicker, easier and more reliable journeys. Registering in advance is the cheapest and simplest way to pay to cross the Mersey Gateway Bridge and save up to 10% on the cost of every journey. 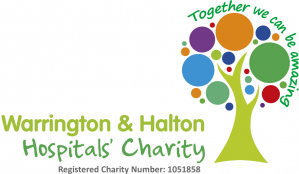 Eligible Halton residents can save even more by registering – you pay an annual fee of just £10 and there is no further charge for an unlimited number of personal crossings for a whole year. Blue Badge holders can do the same for a £5 fee. There’s loads more information at www.merseyflow.co.uk and you can register online – it’s really easy. There’s a call centre – call 01928 878 878 if you need to chat to them and a walk-in centre in Runcorn where you can register and pay. Read how You can pay here. at Merseyflow’s walk-in centre at Howard Court, Manor Park, Runcorn, WA7 1SJ between 8am-8pm Monday-Friday and 9am-6pm Saturday, Sunday and Bank Holidays. These hours will change to 9.00am-7.00pm Monday- Friday (weekends and bank holidays will remain as 9.00am-6.00pm) commencing 3rdApril 2018. You can also pay for a journey you have already made by using our automated 24/7 payment system on 01928 878 878. You will need to give your vehicle registration details when you pay. If you drive a car or small van, the unregistered toll rate is £2 per one-way trip, so to reduce costs, it’s well worth registering today at www.merseyflow.co.uk. And remember, if you don’t pay, you’ll get fined.